When people talk about the maker movement, they generally think about robots, electronics, and nerdy engineers at the MakerFaire. 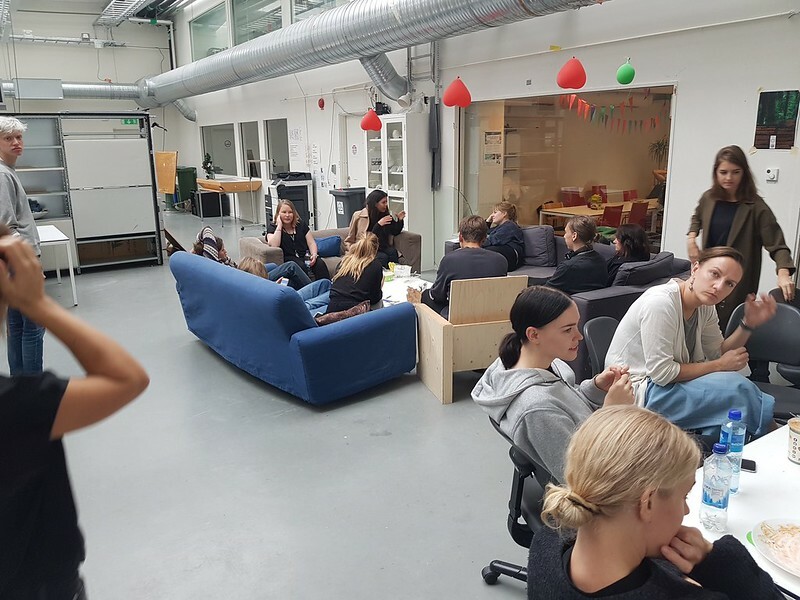 MakerBay is a makerspace focused on social and environmental impact so we are interested in what people make that have a social and environmental impact. And it turns out “The clothing industry is the second largest polluter in the world...second only to oil,”. So as makers interested in sustainability, we cannot overlook this area of making. Get dizzy with numbers if you desire. "The 1920s and 30s saw the initial rise of the city's manufacturing industry. The textile industry became the backbone of Hong Kong's manufacturing sector." Wikipedia. At its peak, the textile industry employed almost 30% of Hong Kong Industrial workers. That textile golden age is well documented - what happened to it? What's next? 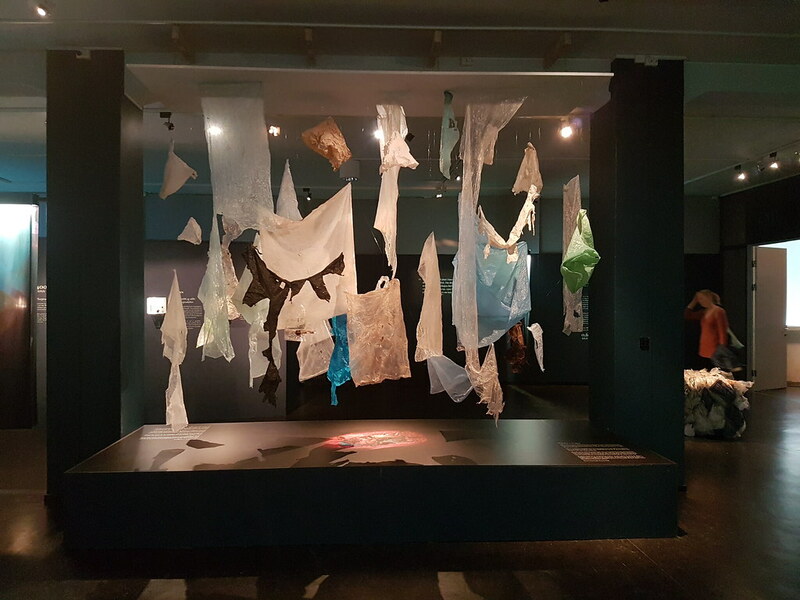 Now, textile and fashion -as all fields- are facing new challenges to become more sustainable in what they are made of, how they are made, and also how they integrate with novel technologies and aesthetics. How will we create beautiful textile and fashion in the future, that will not destroy our future? 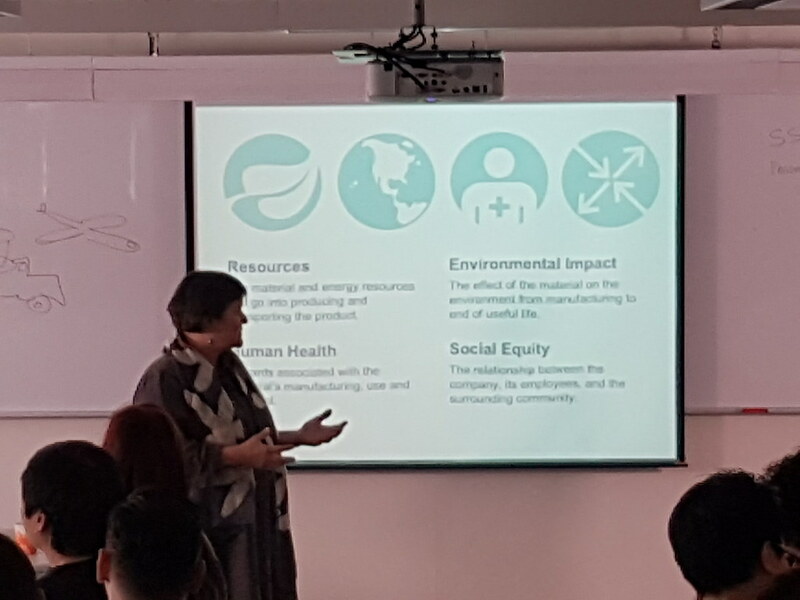 I (Cesar) was very lucky to attend a workshop about fashion, textile, and sustainability with Debera Johnson and Tara SaintJames of the Pratt Institute Brooklyn + Fashion Design Accelerator happening at CITA in Hong Kong. 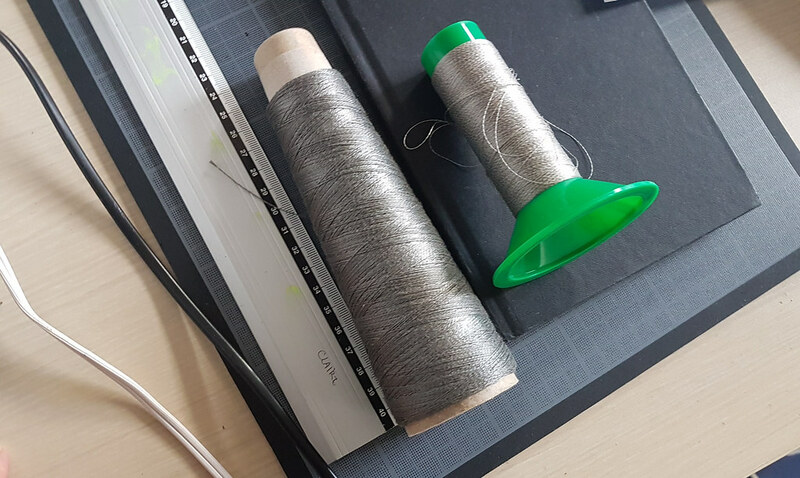 At the workshop I learned a lot about the impact of the textile and fashion industry and how business and design can work hand in hand to educate the consumer to improve the industry. Many brands and retails are now progressing towards sustainable fashion, but we definitely need a lot more of sustainable fashion. I was also impressed by how well equipped CITA is and particularly interested in the sample making capability it offers for local designers. I made a surprise encounter with a mythical animal that suffered from man-made pollution: The Plastic Whale. 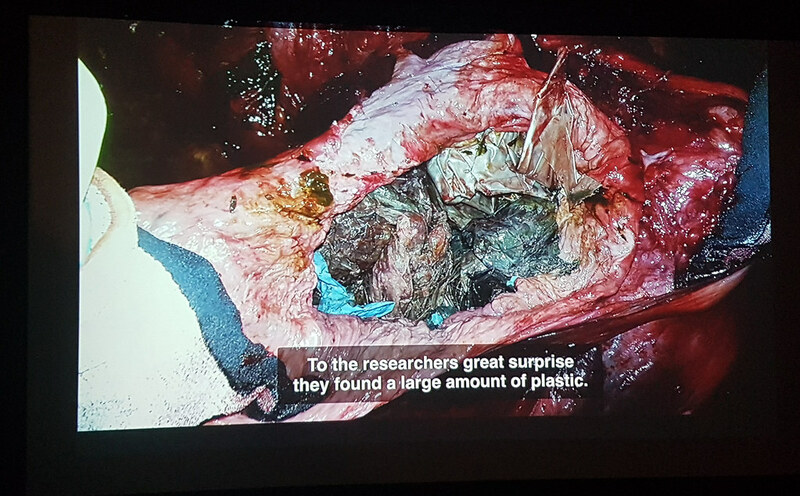 Bergen recently came to the international attention when a whale died and beached from plastic suffocation. it was heart-breaking to see that what remained from this beautiful animal was a pile of bones and the content of its stomach. 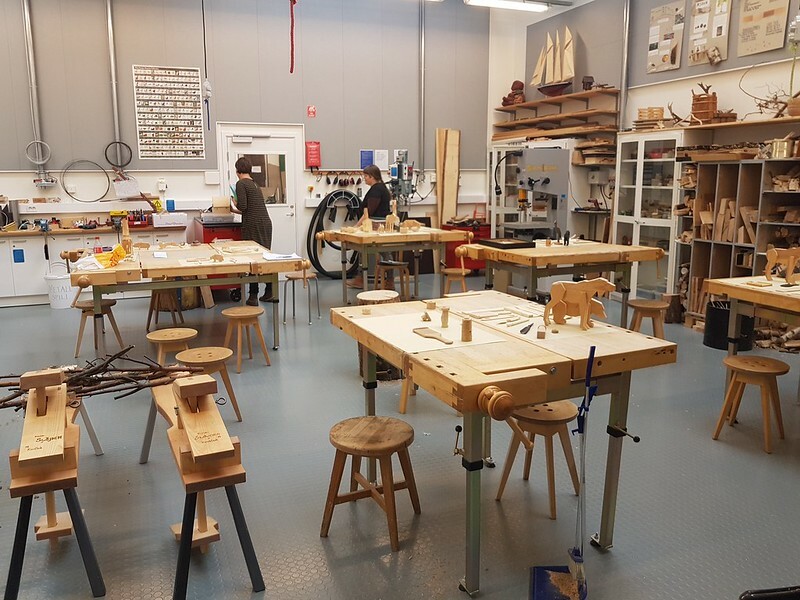 I took a chance to visit the brand new Bergen Makerspace! 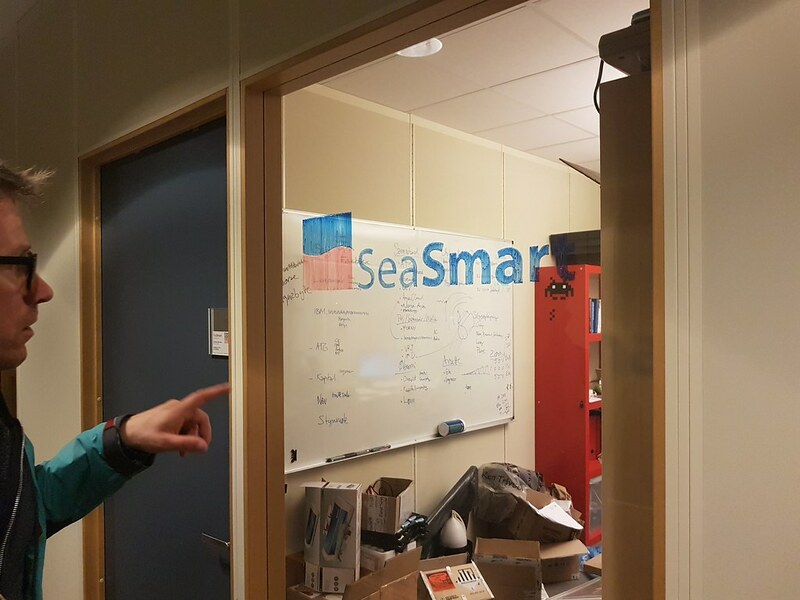 The place is still under construction, but what an amazing location for an ocean-lover like myself: feet in the port, under an incubator for ocean tech startups, next to ROVs manufacturers and operators, nearby a great university! 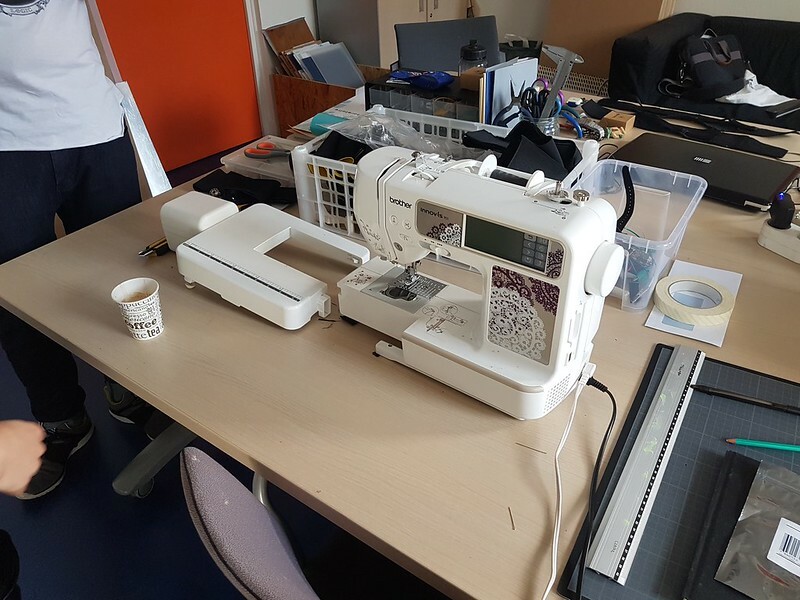 Link to Bergen Makerspace. 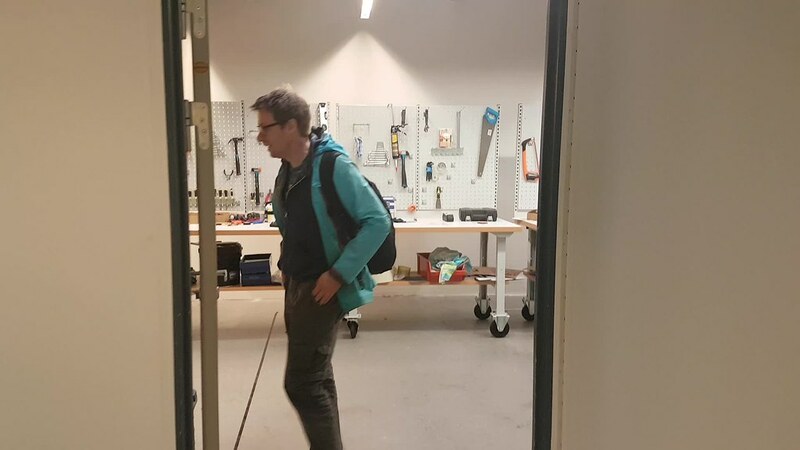 Trygve Trohaug, the Makerspace manager, was incredibly kind to take the time to show me around what would become the community space. The Makerspace is still very much under construction, but what a great space! One the first floor, many ocean-related startups, most in fisheries. Next door, ROVs that can go as deep as 6000m! 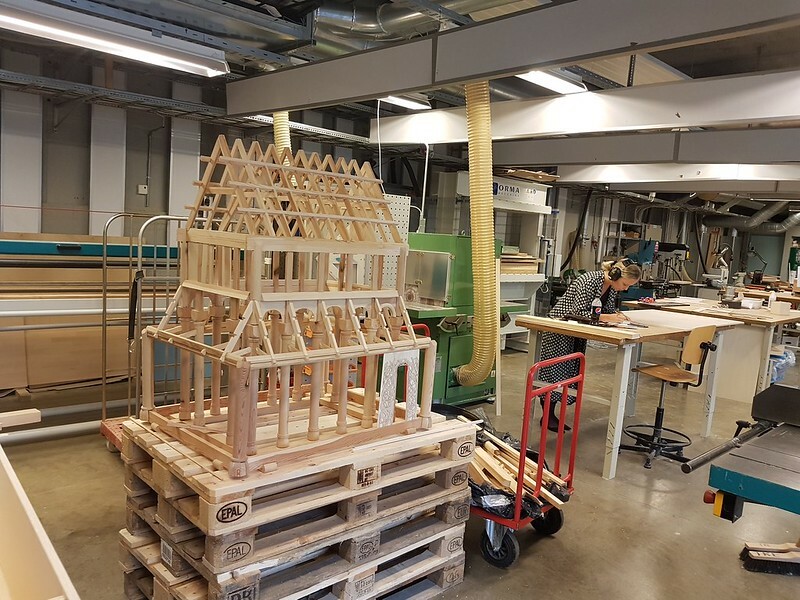 In Oslo, I visited the School of Architecture and Design (AHO). What a jewel. Small, but very well equipped university. 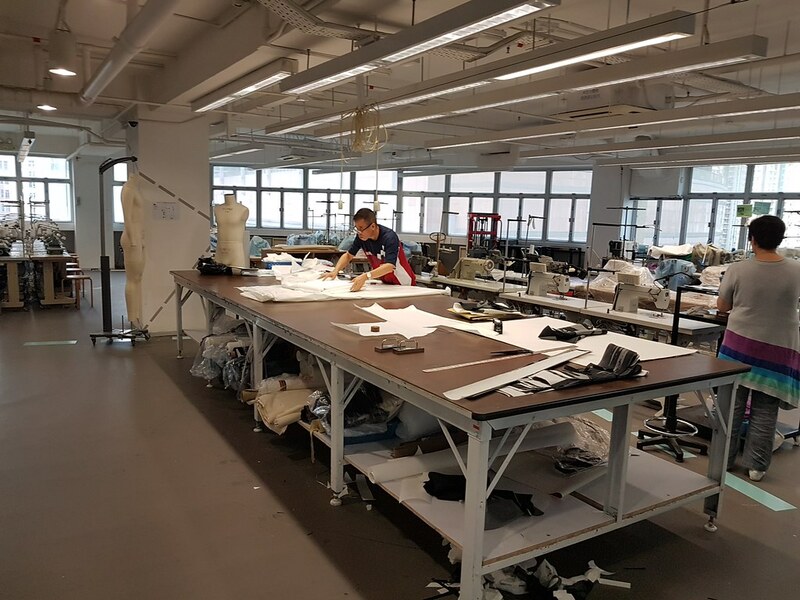 Unfortunately, no textile or fashion design as the university specialties are on Service and System Design. 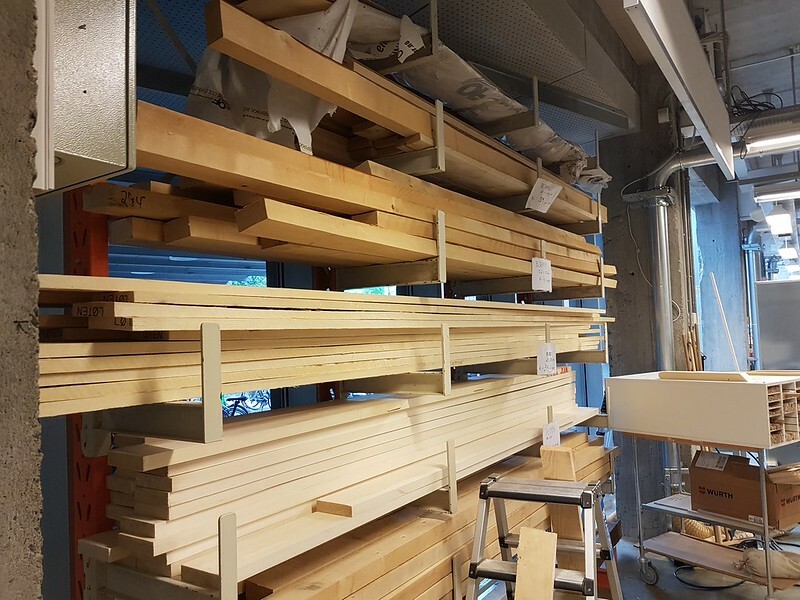 A great woodworking shop. Wood stock racks for students to purchase A great metal shop With a rolling metal rack, how smart. Of course, they also had all the digital fabrication tools a student could want (3D printers, laser cutter, CNCs). What impressed me most is that they had a room with a bridge crane to build gigantic projects! How cool is that? 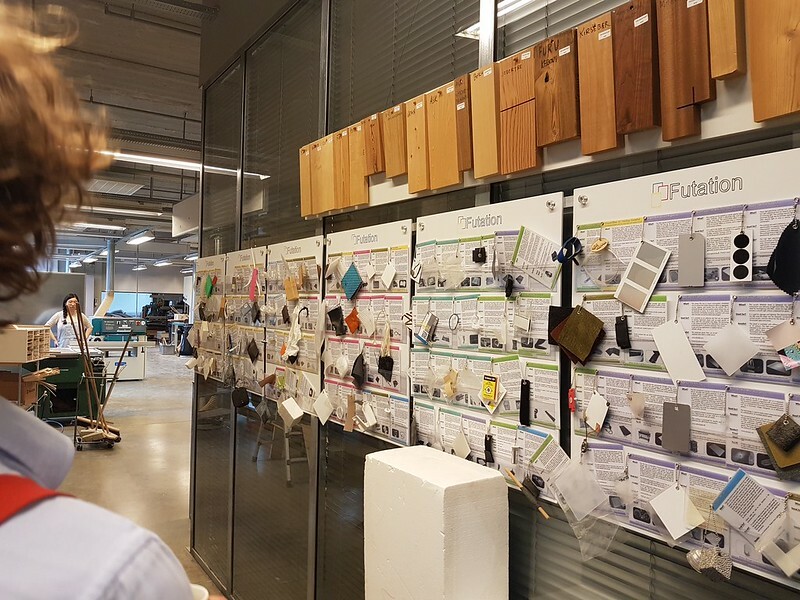 Another great thing was the material selection they offered as the first thing you see when you step in the workshop: it is all about materials! The University must surely have had textile / sewing equipment, but during my short visit, I did not get a chance to see any unfortunately. Next, I was very lucky to visit Fellesverkstedet by its cofounder Jens Dyvik thanks to the introduction of my magical friend Martin Gautron. I was happily surprised bumping into the legendary Nadya Peek who wrote her dissertation about machines that make machines. Very very very impressive space, still active even if they are about to move to a brand new (historic) building! 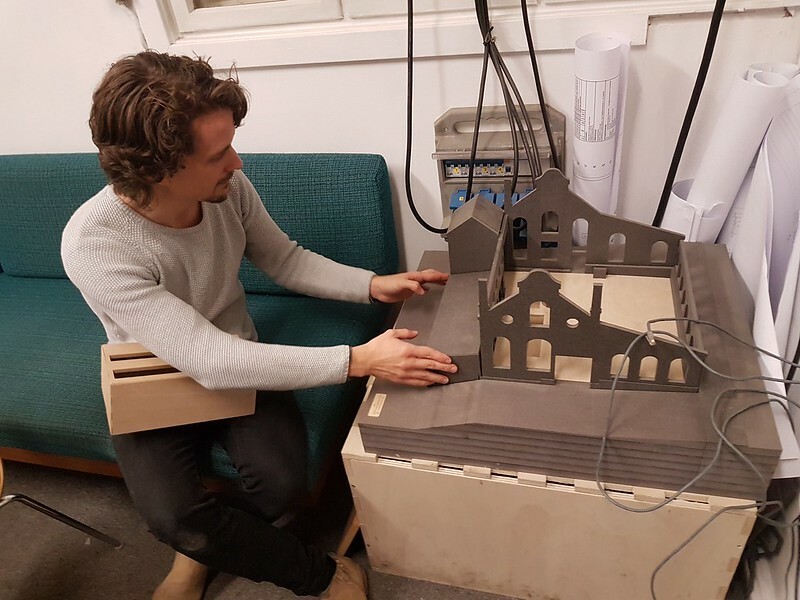 This is the model of the future building! Follow their progress on their facebook group page. I did not have a chance to visit Bitrav in person, but both Martin and Jens were raving about how great the community is there. 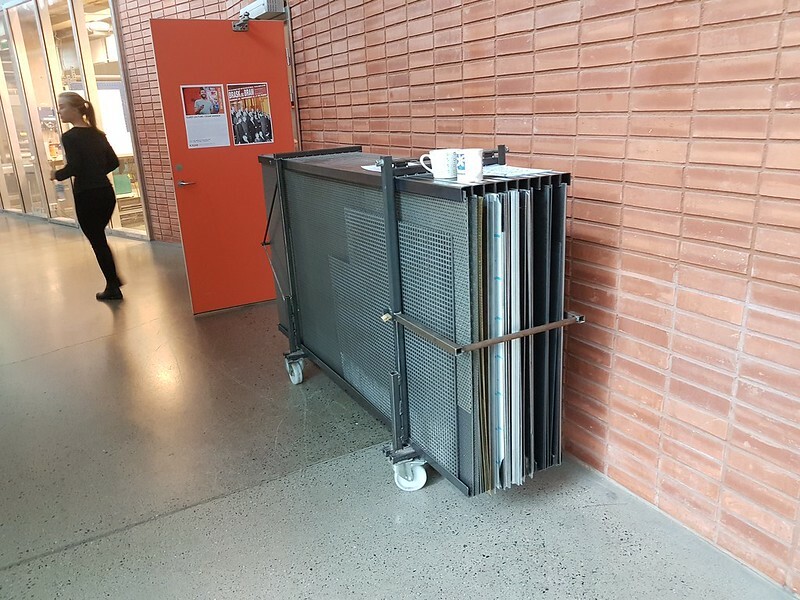 In Sweden, I was lucky to visit in person the Konstfack, thanks to my friend Carl Barstad of Quirkbot and Kids Hack Day, check his TED Talk here. First thing, I was stunned by how much space there is. 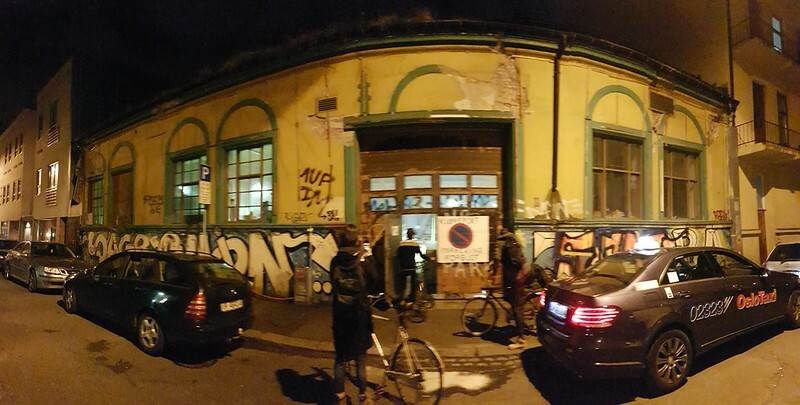 Right at the entrance is the open exhibition space. Better than most gallery spaces! The woodworking shop is gigantic! 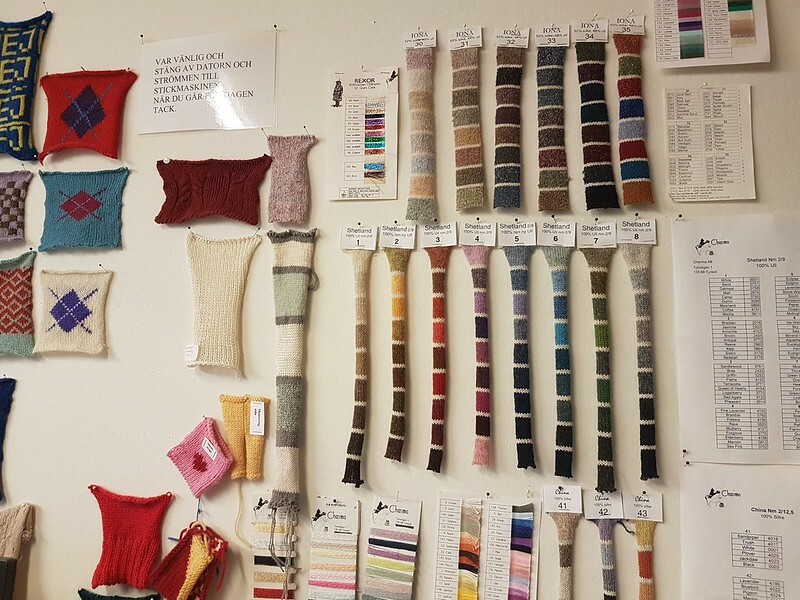 Wonderful weaving and knitting lab! Someone is busy! Many samples of the wall, show you what the machines can do, what the yarn looks likes once woven. Next door, the chemistry lab! 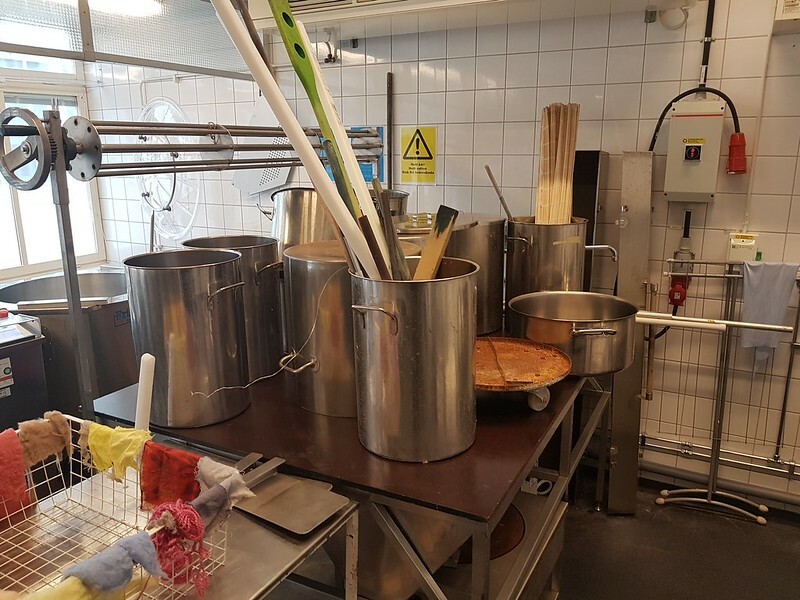 There are many vats for coloring, dyeing, cleaning, drying! You would feel as much in a kitchen as much as in a lab. The textile printing room is also minimalist and spectacular. 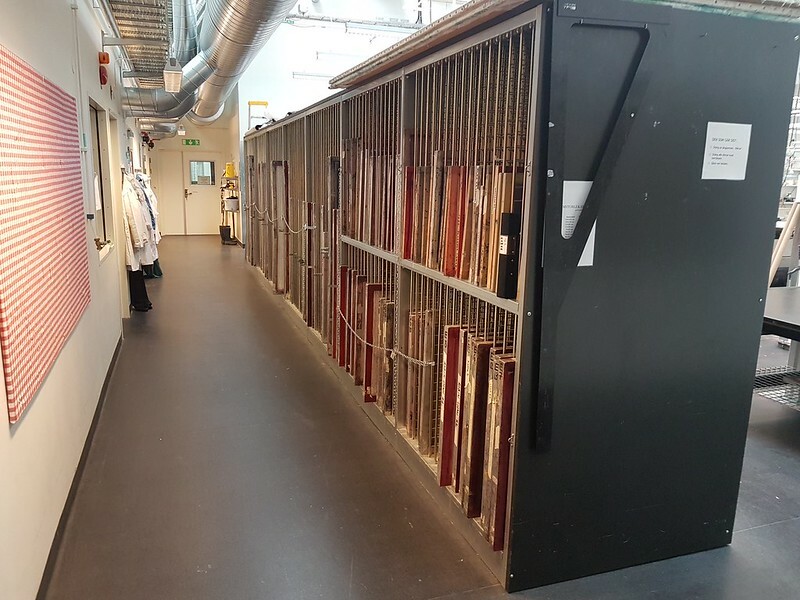 A long wall has many labcoats and silk screens stored, ready for action. 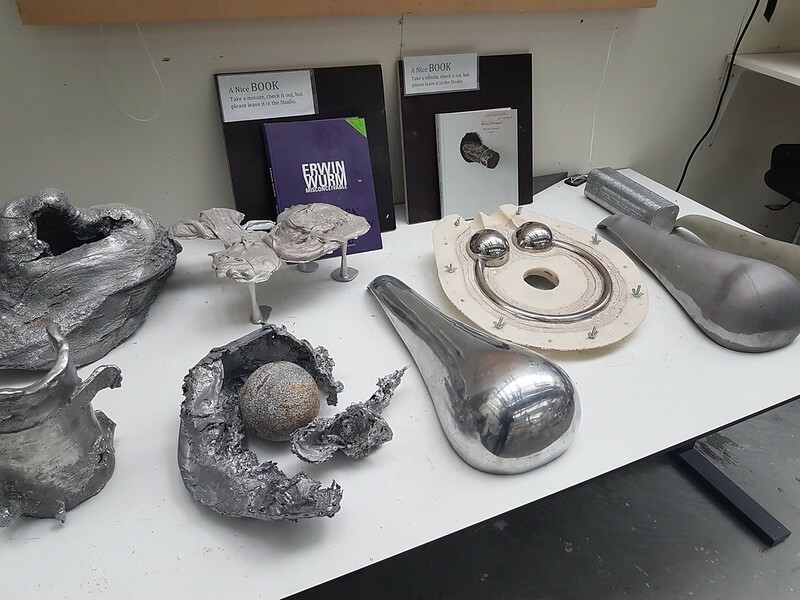 The University has glass blowing, metal casting (above). There is even a master in "CRAFT!" An amazing photostudio. And every student has their own table, comfortable relaxing and dining area! The cantine we went to was all vegan (and delicious) !!! How amazing is that!? She studied at The Swedish School of Textiles in Borås and told me that "Borås is the top when it comes to textile technology and creativity, whereas Beckmans School is more fashion forward and Konstfack is mostly about fine art - in general". Next time I am in Sweden, I will definitely go and check out Borås and Beckmans! In Paris, it was wonderful to see family and have a quick look at innovative textiles. 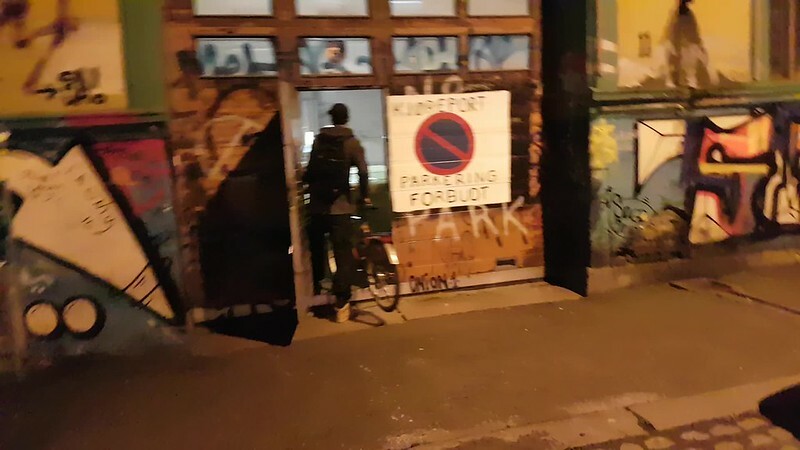 I will come back to see more - there is a lot to see - but this time, I was lucky to connect with Kevin Lhoste, Claire Eliot, Alice Gras, thanks to Carine Cheu, Clement Epié, Audrey Richard Laurent, Jean-Louis Frechin and more. I had some connections from back in the days at the ENSCI at the ANAT. 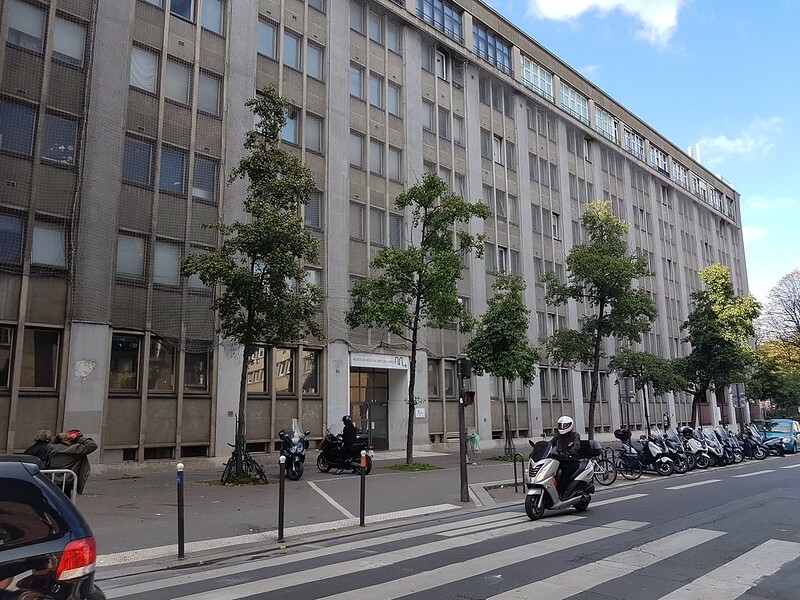 But this time I went to visit the CRI "Centre de Recherche Interdisciplinaire". Weirdly, the CRI is hosted inside the "Descartes University Faculty of Medicine – Cochin". It is a fascinating place where the maker space is about as big as the biology lab. The CRI has a presence in Shenzhen, just next to Hong Kong called OpenFiesta. 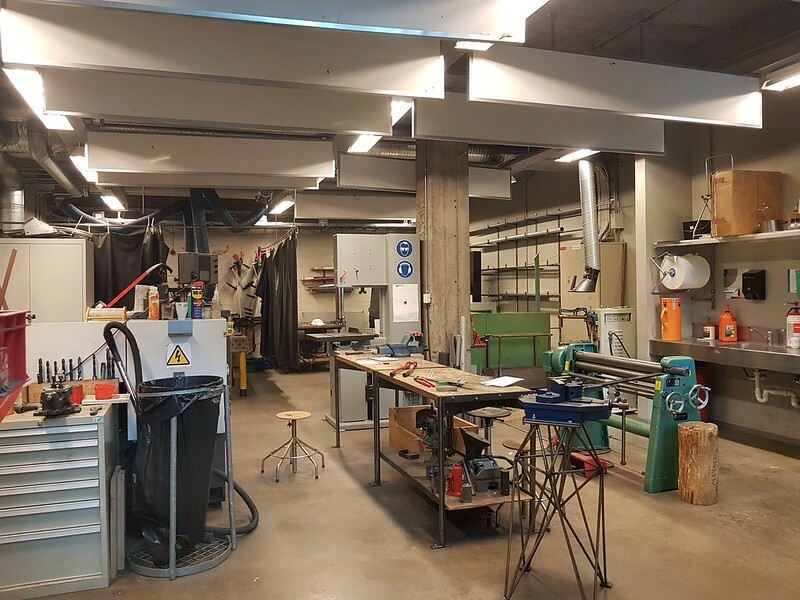 The FabLab of CRI. The CRI biology lab. 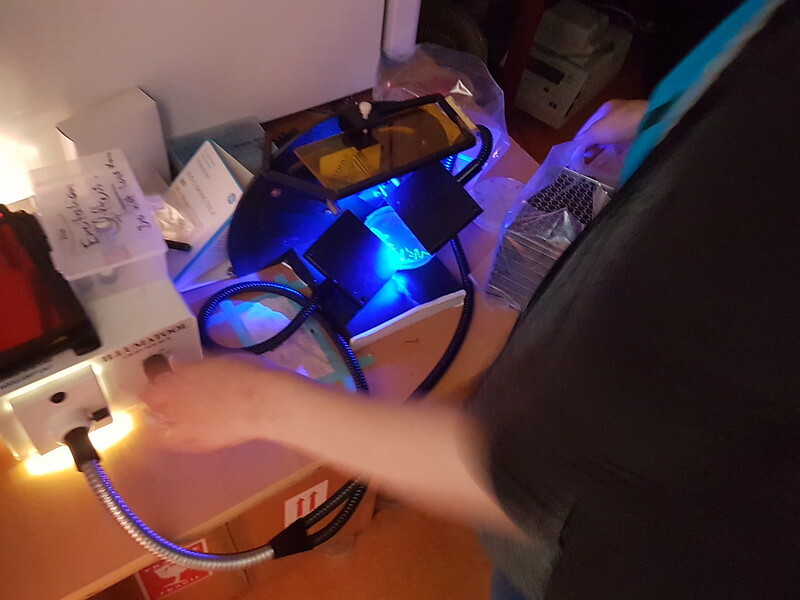 One biology researcher kindly showed me her research about designing with bacteria and fluorescence. 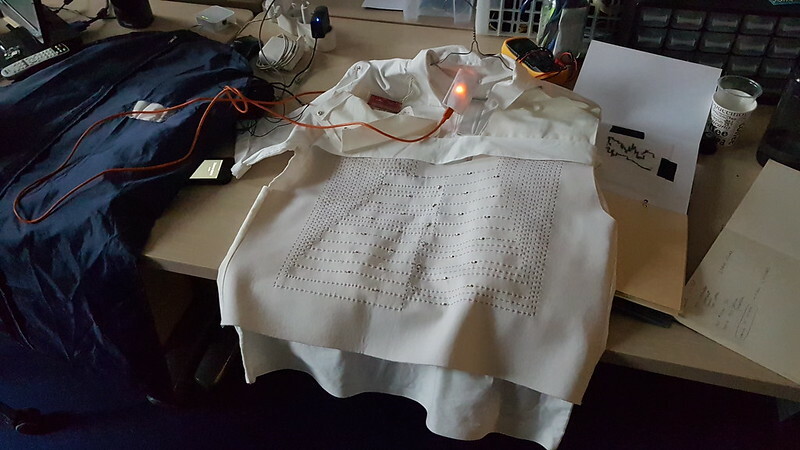 This is the work of Claire Eliot, a garment that reacts to sound. She explains the piece on a video below (in French) from Arte TV. She was also very generous to share with me her process and parts. 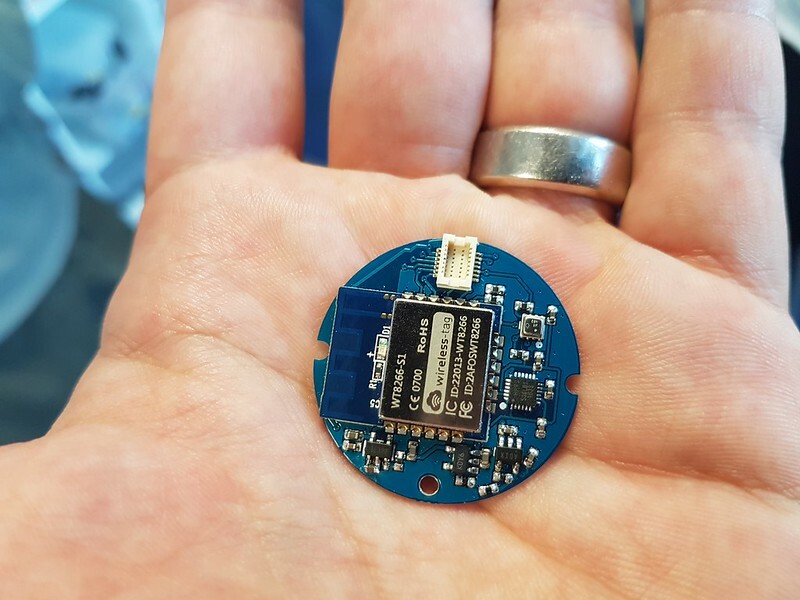 In the true spirit of Open Hardware. The components she uses. This one is made by Kevin Lhoste. The machines she likes to hack with. 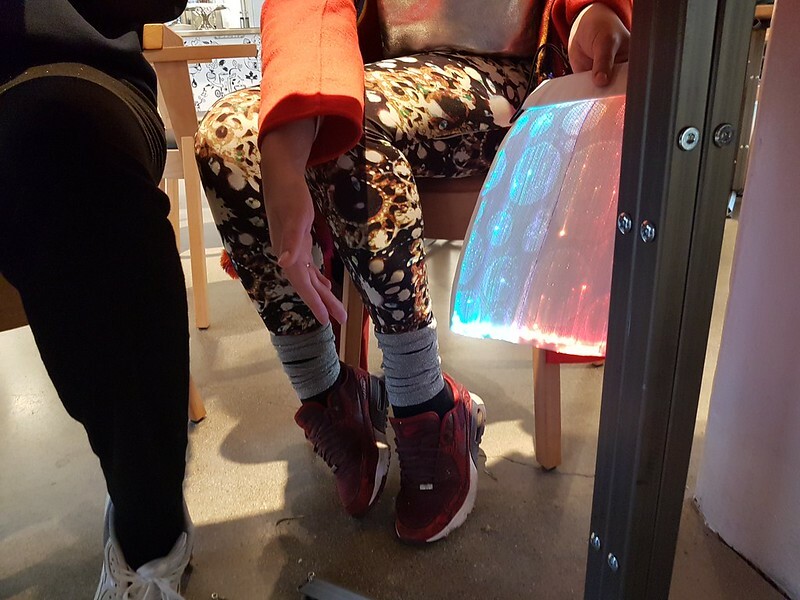 She also told me that there is a private group that does amazing work to push e-textile at the Moulins de Paillard. 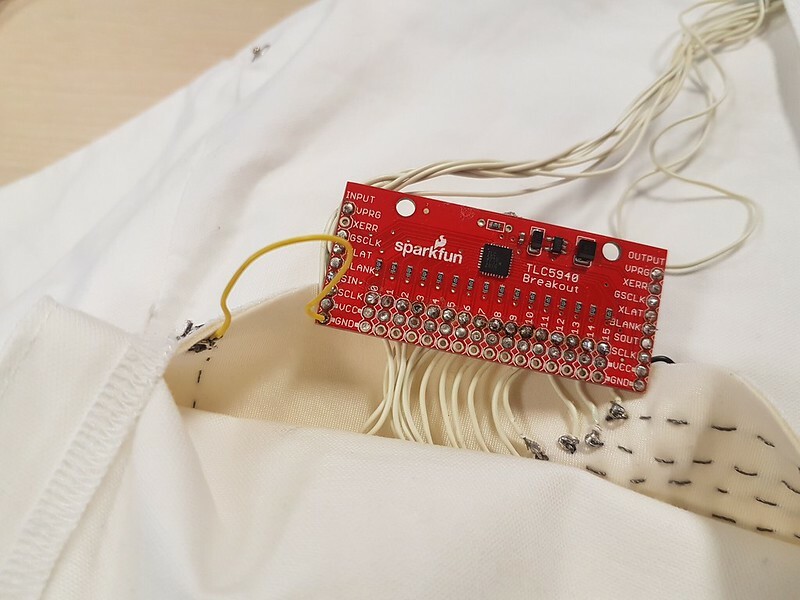 Even the type of electroconductive yarn from sparkfun she buys! 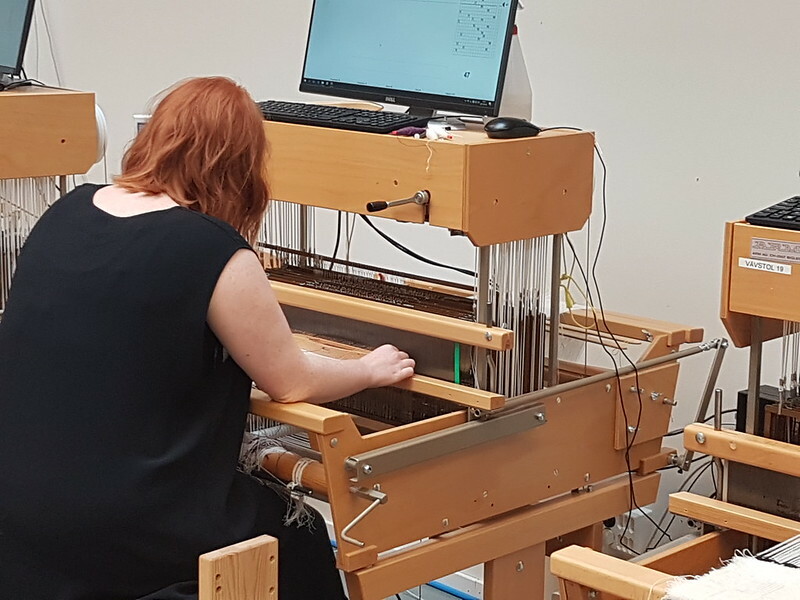 It was also wonderful to see the work of Claire Eliot on interactive textiles, with Maurin Donneaud who worked at Hall Couture with Alice Gras and DataPaulette. I was lucky to share a coffee with Alice Gras of Hall Couture and hear about her vision for furthering the textile innovation sector in France and in the UK. This was an amazing journey, from Hong Kong, learning from specialists from Brooklyn, to Norway, Sweden, France. There is so much to explore when it comes to the textile education and maker scene from these countries. 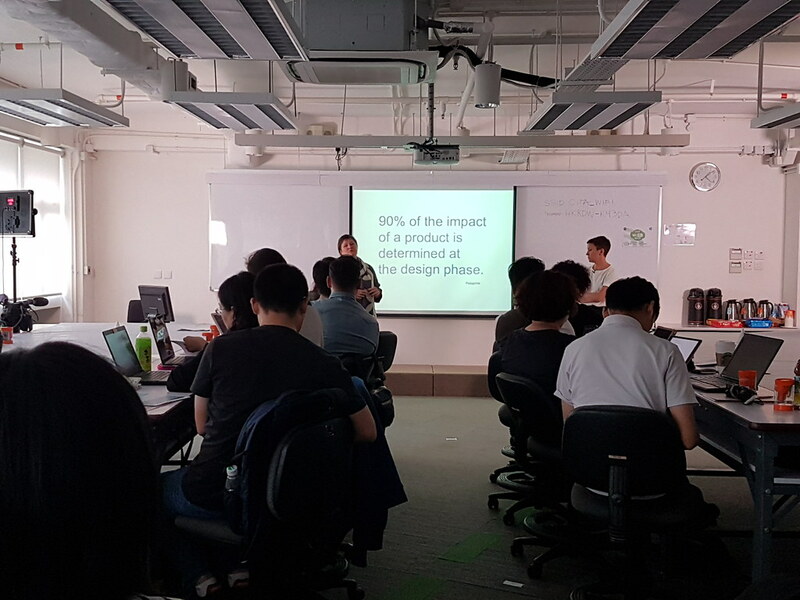 I am more excited than ever to come back to Hong Kong and experiment how we can develop textile and fashion practices for a more sustainable future with MakerBay.